“As founders of the Portuguese National Association of Researchers in Science and Technology (ANICT), we believe that research problems in the country run deeper than just funding (see Nature 507, 306; 2014).Evaluation procedures for recruitment, career progression and funding allocation are in need of fundamental reform. They must become more transparent and be based solely on merit. Selection for nationally funded PhD and postdoc scholarships, for example, is beset by conflicting interests and insufficient transparency (see http://www.anict.pt). The recent cuts in scholarship numbers have exacerbated these factors. Currently, merit has little influence on career stability or advancement. Many researchers, even team leaders with students and ongoing grants, are being driven to leave the country because of their non-renewable, short-term contracts.Instead of bickering and passing the buck, Portugal’s politicians need to agree on long-term plans to foster and retain the country’s talented young researchers. Nuno Cerca University of Minho, Braga, Portugal. João Lopes University of Lisbon, Portugal. A SPIDP-Sociedade Portuguesa de Investigação e Desenvolvimento da Podologia (http://www.spidp.com), realizará no dia 29 de Março de 2014 às 9h30 em Guimarães o seu evento de apresentação. Decorrerá nas instalações da Fraterna Centro Comunitário de Soidariedade e Integração Social (Travessa de Vila Verde, São Sebastião). No mesmo dia promoverá um Workshop com o título “Aplicação de Ortonixias com Método Ortodôntico”. As inscrições podem ser feitas através de email para geral@spidp.com. 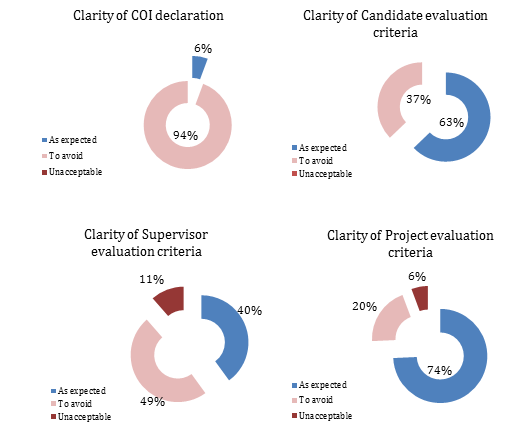 ANICT reinforced the need to implement evaluation panels without direct conflict of interest. FCT showed a positive attitude towards this requirement and ongoing meetings are taking place in order to adjust the implementation of this rule. The IF2014 call will also show some improvements, partially based on ANICT recommendations. Regarding the lack of long-term strategy, ANICT proposed the organization of a major national event where all key players directly or indirectly involved on the policy making and execution of science could gather and discuss an Portuguese 2020 plan.